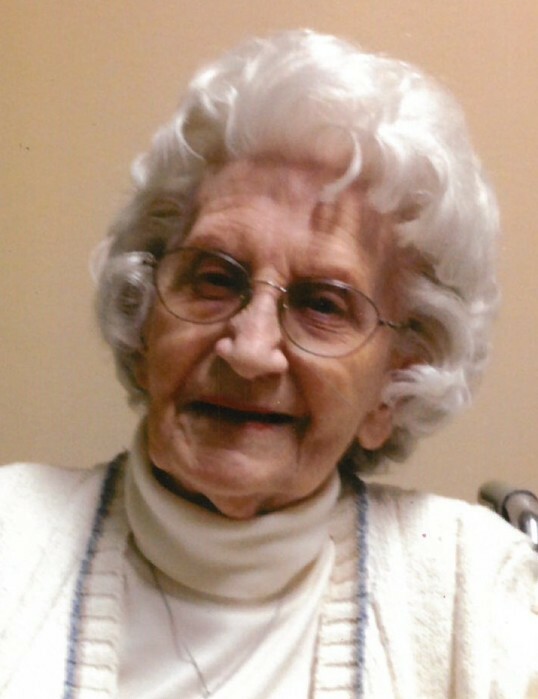 Obituary for Dorothy Annette Barker | Cromes-Edwards Funeral Home & Crematory, Inc.
Dorothy Annette Barker, 95, of Sidney, passed away Friday morning, March 29, 2019, at The Landings of Sidney. She was born in Cleveland, Ohio on April 28, 1923, to the late E. M. Seving and Floretta (Meyer) Seving. Dorothy married Frederick E. Barker on October 18, 1946, in Sidney. He preceded her in death on February 15, 2005. Dorothy was also preceded in death by her son Scott F. Barker and her sister Beverly Jean Seving. She is survived by her daughter, Sondra K. (Thomas) Boecker of Sidney, daughter-in-law Julia Barker of Sidney; four grandchildren: Kristina K. (Brian) Lundy of Sidney, Kimberly A. (Chad) Sollmann of Sidney, Benjamin S. (Rebecca) Barker of Columbus, Ohio, and Brett J. (Courtney) Barker of Indianapolis, Indiana and nine great-grandchildren: Alexander Lundy, Andrew Lundy, Audriana Lundy, Ayden Lundy, Grant Sollmann, Elise Sollmann, Torrin Barker, Taylor Barker and Madison Herrin. Dorothy graduated from Anna High School in 1941. She played drums in the County Wide All Girl Band and had many fond memories of that time. She attended the Jewish Hospital School of Nursing for a year and a half. She decided that nursing was not the right career for her but always had great admiration for nurses. Dorothy lived through the Great Depression and World War II but her memories of the Anna Earthquake impacted her all of her life. Dorothy worked at Wagner Manufacturing for 6 years. She then worked at Wilson Memorial Hospital for 33 years, 28 of which she was the Manager of Patient Accounts. Dorothy was an active member of St. John's Lutheran Church in Sidney for 68 years. Previously she was a member of St. Jacob's Lutheran Church in Anna. Dorothy was past member of the American Business Women Association and a member of the Sidney American Legion Auxiliary. Dorothy was a loving wife, mother, grandmother and great-grandmother. She provided expert care for everyone in her family, especially her parents, her sister, her husband and other relatives in illness. She enjoyed sewing and cooking. She was an active member of her church and she enjoyed volunteering for the St. John's thrift shop. She cherished spending time with her grandchildren and her great-grandchildren. She will be greatly missed by all. We want to thank the Wilson Home Health/Hospice nurses, especially Annette Meyer and Aide Beth Slone who helped as care givers and advocates and finally comfort. We also want thank the core staff of The Landings. There were many caregivers that provided wonderful care and support. Among many include, Residential Aides, Kaitlyn, Lindsey, Lindsay, Hannah, Mariah, Amy, and Karina were there during some very stressful times. The nurses, Angie, Tina, Maria, Elly and Jenni were with us through a lot of crisis interventions. Thank you for helping coordinate and give care. Funeral Services will be held on Thursday, April 4, 2019 at 10:30 A.M. at St. John's Lutheran Church in Sidney, with Pastor Cheryl Siegenthaler officiating. Burial will follow at the Pearl Cemetery. The family will receive friends Wednesday from 4 to 7 P.M. at Cromes-Edwards Funeral Home at 302 S. Main Ave., Sidney. Additional viewing will be at the church, Thursday from 9:30 A.M. until the time of the service. Memorial Contributions may be directed to St. John's Lutheran Church, Wilson Health Hospice, Scott Barker Memorial Fund in Dorothy's memory. Condolences and expressions of sympathy may be made at the funeral home's website, www.cromesfh.com.